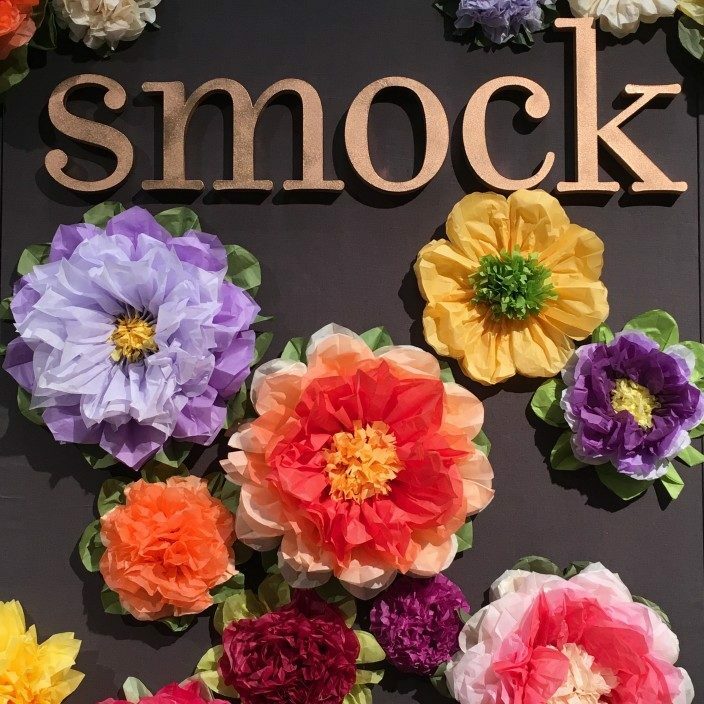 News + Updates - Smock. 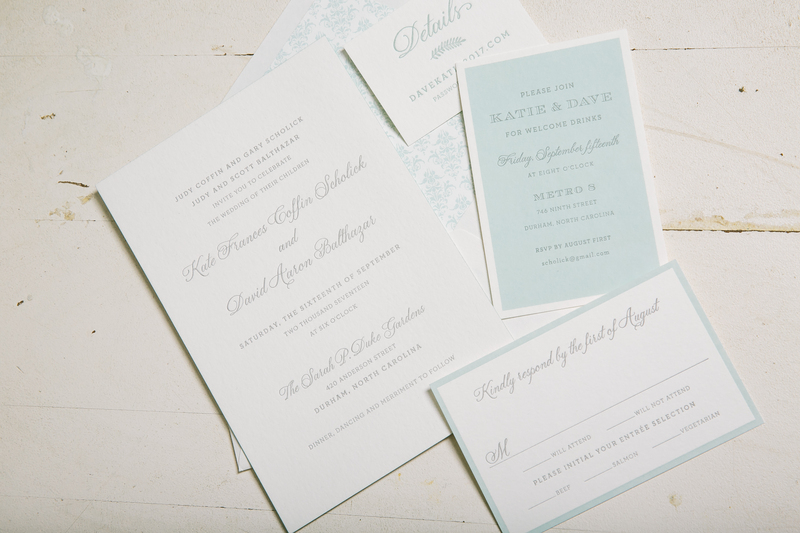 Kate and David decided to customize our Wessox design for their North Carolina wedding this past fall. 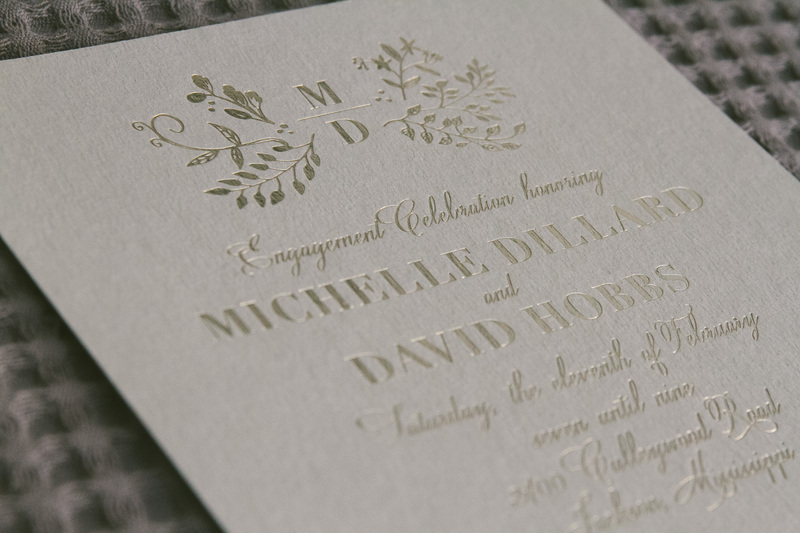 There’s something to be said for classic silver letterpress wedding invitations with an aesthetic that will never go out of style. The suite also contained matching pieces like a reply card, welcome card and website card. Each card was designed with a little extra something different to add more interest to the overall design, whether that be a border or a solid background color in a corresponding color. The envelope liner printed in Cloud tied everything together with the addition of a more traditional pattern as the finishing touch. Join us for a two-day holiday shopping event at our studios in Syracuse, NY on December 8th and 9th. We are partnering with the Food Bank of Central New York, and any customer that brings a canned food item or cash donation ($5 minimum) will receive 10% off their entire purchase. Bring in a reusable bag and receive a free gift. A variety of products will be available for sale at the event: letterpress holiday cards, gift wrap, keepsake boxes, notebooks, gift tags, and more. 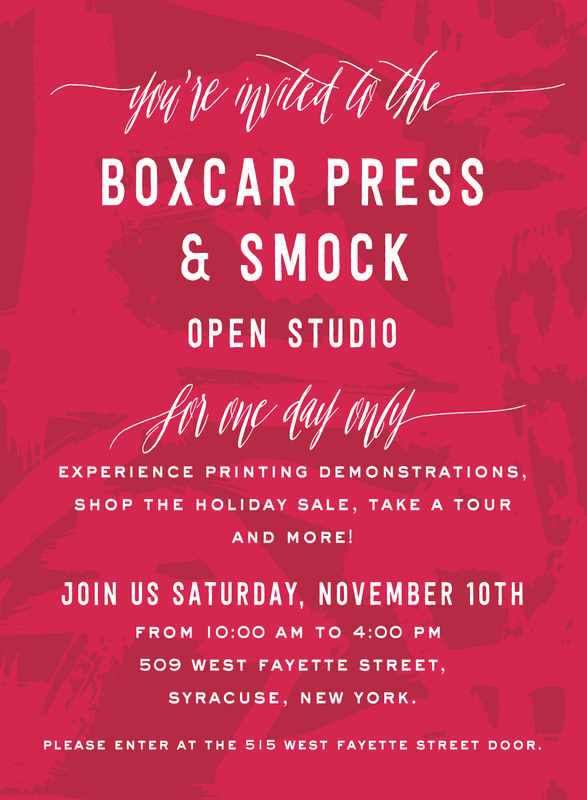 The Holiday Sale will take place from 5-8pm on Friday, December 8th and from 10am-4pm on Saturday, December 9th at our studios at 509 West Fayette Street. Sale entrance will be on Niagara Street. Parking will be available on the side of the building. 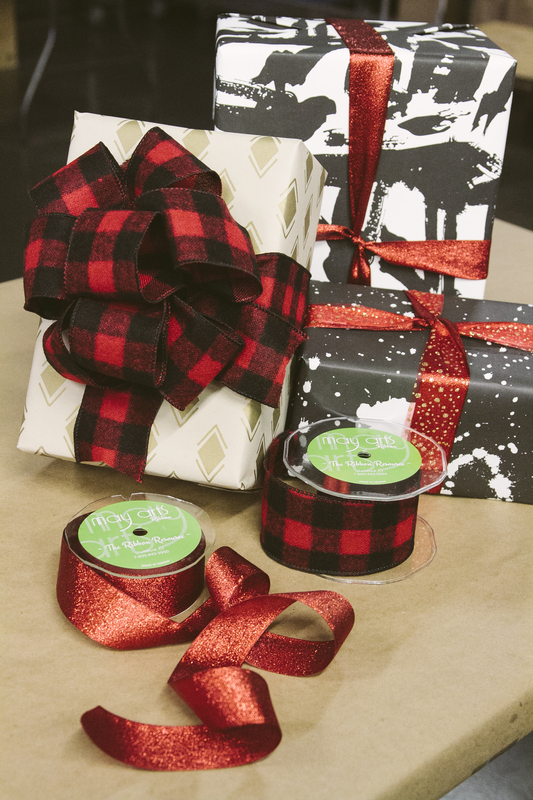 Get a jump start on your gift wrapping this holiday season! Join us on Thursday, November 30th from 5pm to 8pm for a gift wrapping workshop. The class is $30 per person and includes gift wrapping supplies for 3 medium sized gifts. You bring ready-to-wrap gifts, and we’ll show you different wrapping techniques (like how to make an invisible seam and cute gift toppers). 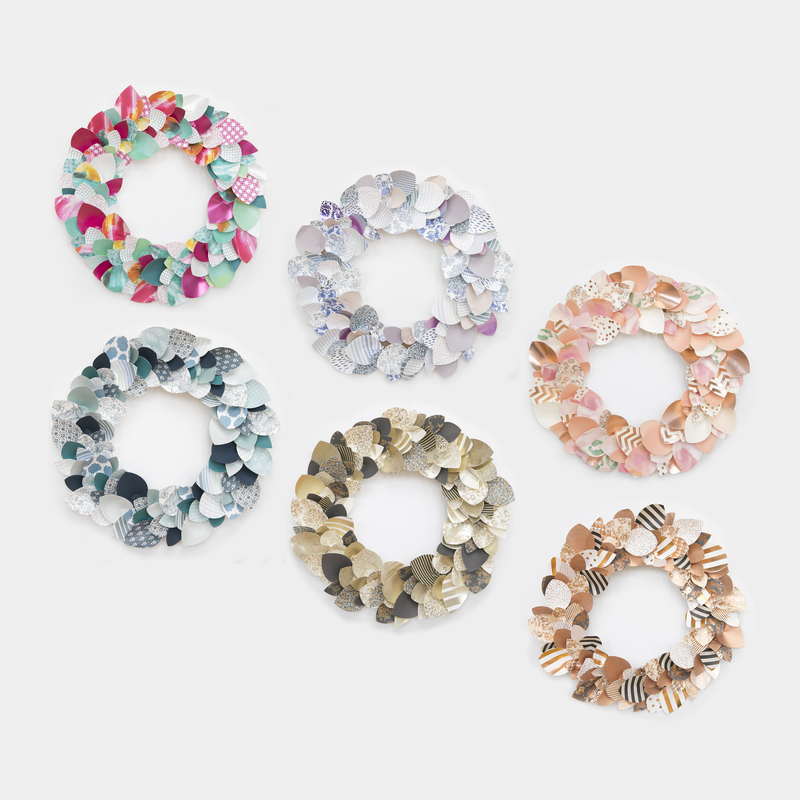 We’ll also help you find the perfect ribbon pairing for your gifts. The class will be held at our studios at 509 West Fayette Street in Syracuse. All proceeds from the workshop will be donated to our friends at Onondaga Earth Corps. Light refreshments will be served. 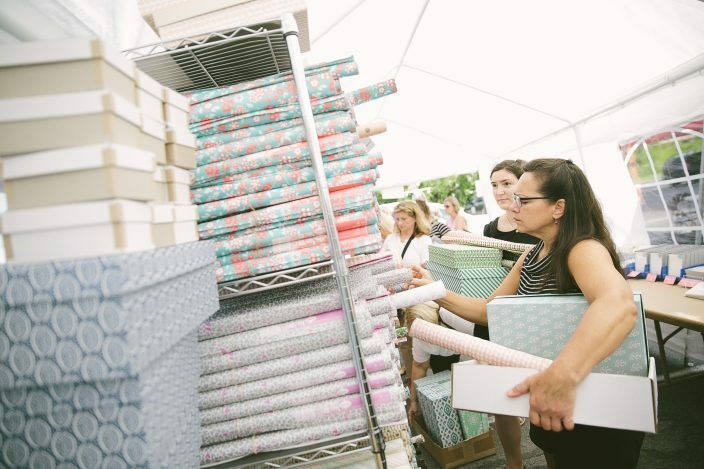 You’ll have the opportunity to stock up on additional gift wrapping essentials during the event as well. Sign up below to secure your spot. 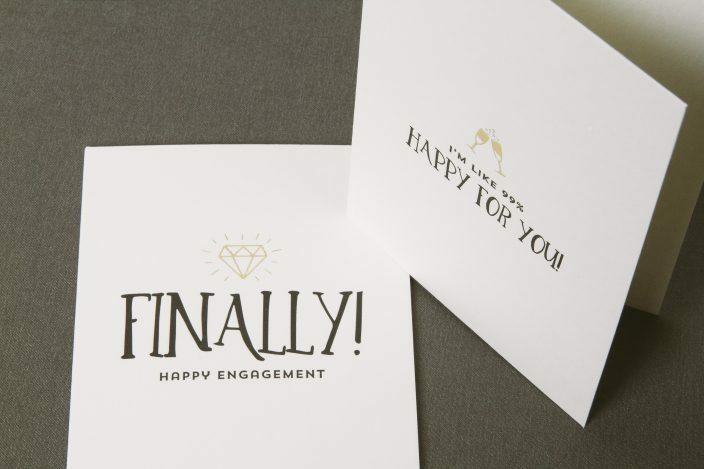 An engagement is certainly a cause for celebration and what better way to set the tone for a party than with these botanical foil stamped engagement invitations. 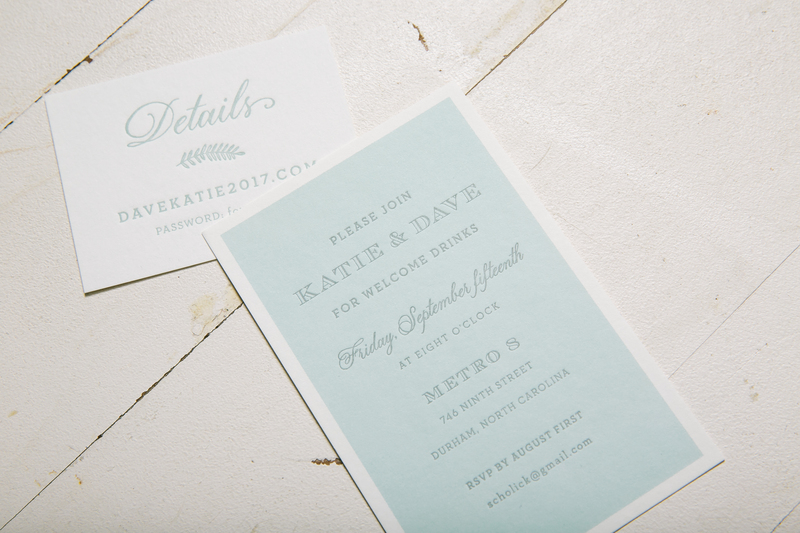 We were thrilled to work with Fresh Ink to create this Greely inspired set for Michelle and David. 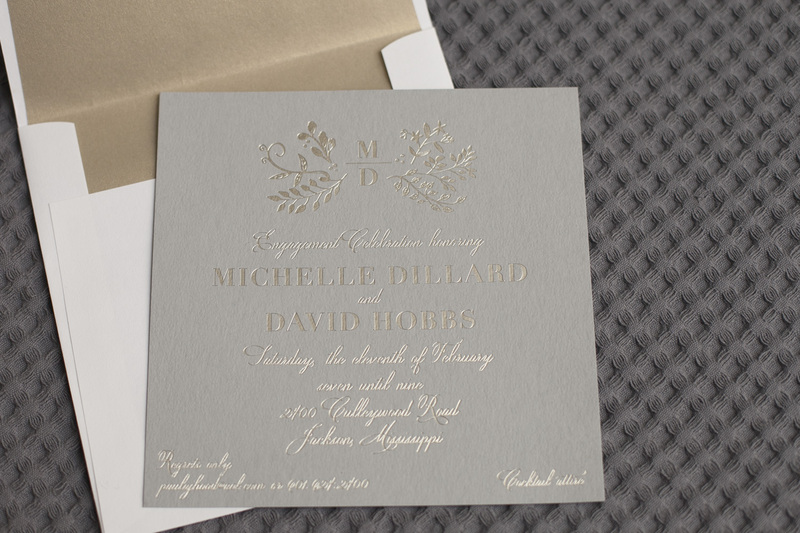 Tawny Matte has never looked better as the foil color enhances our Smock Gray paper with its champagne undertones. 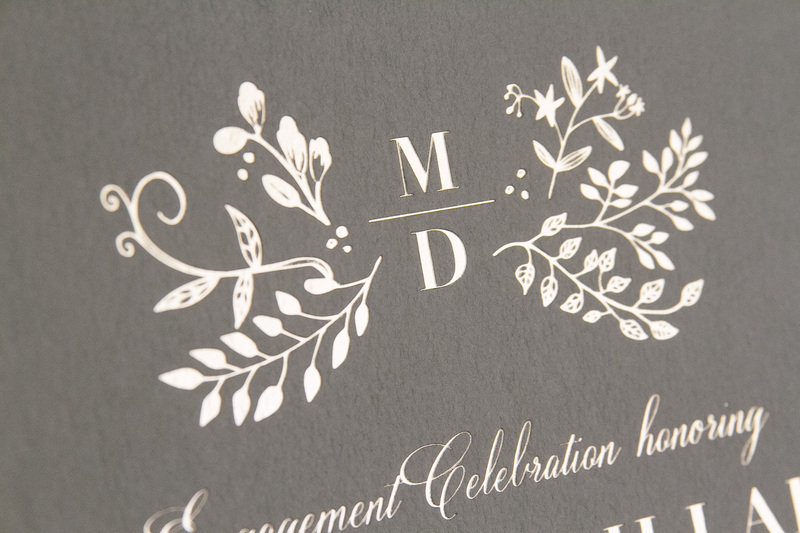 A sweet floral motif frames the couple’s monogram at the top of the design, while the gold leaf metallic envelope liner adds a polished finish to this lovely customization. 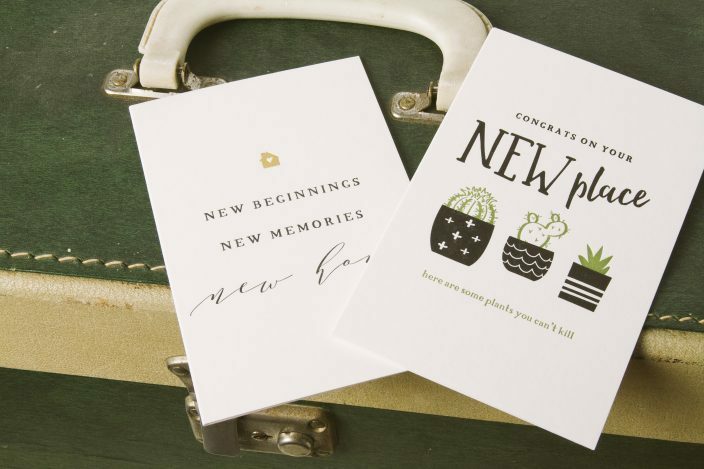 New letterpress cards, coasters & gift wraps are here! We recently launched a variety of new cards for spring holidays like Mother’s Day and Father’s Day, along with other occasion cards celebrating weddings, engagements, and new homes. Several of our new gift wrap styles feature hand painted watercolor patterns – a brand new style for 2017! Take a look at all the new styles in our new arrivals section! 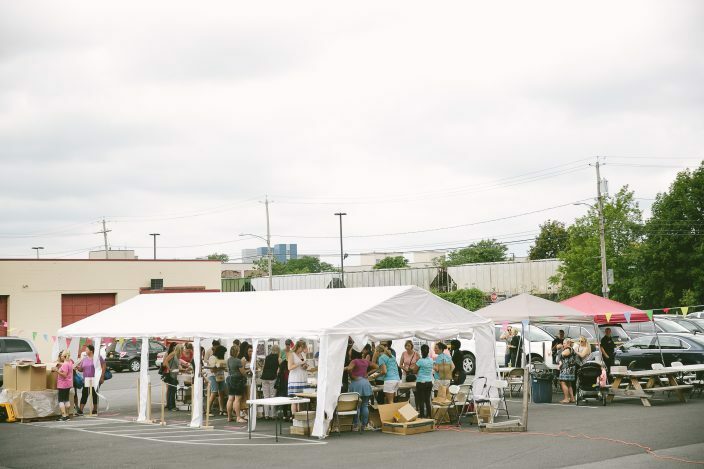 Our 2016 Sidewalk Sale has quickly come & gone, and today we’ve got a peek inside the sale tents for those of you who couldn’t make it out for the event! 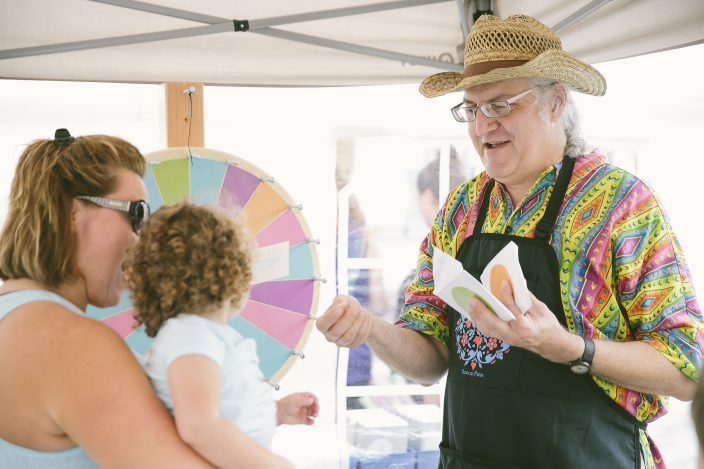 The event drew shoppers in to stock up on cards, gift wrap, keepsake boxes, gift tags, and more during the sale, with several local food trucks adding to the appeal. We’re also proud to announce we helped raise just under $400 dollars for Onondaga Earth Corps! 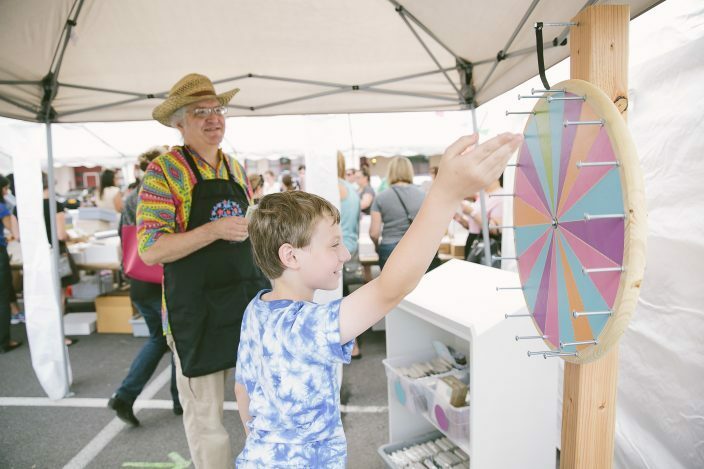 We had a fun, carnival-style prize wheel where event-goers could donate $1 to spin the wheel and win a prize, with all proceeds benefitting this great local organization. If you missed the sale, you can take advantage of our online sale: use the code sidewalksale16 at checkout from now through August 31, 2016 to save 40% site-wide* on our everyday stationery essentials. Start shopping! Sale ends at midnight on Wednesday, August 31, 2016 and does not apply to invitation samples or custom orders. 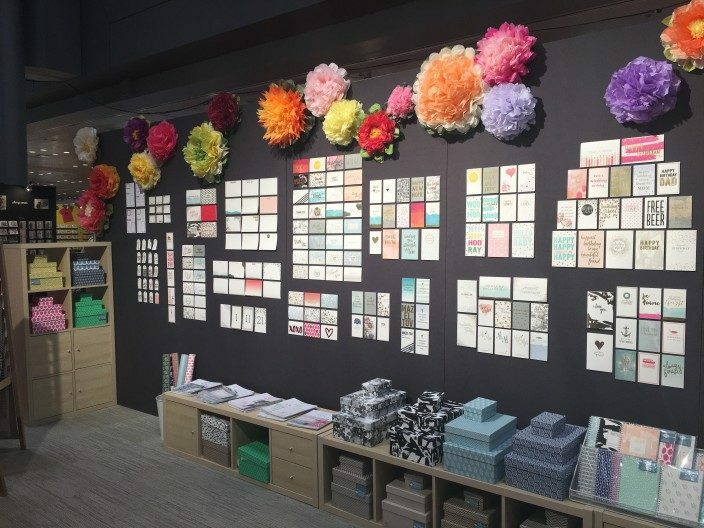 The 2016 National Stationery Show has quickly come and gone, so today we’re sharing a recap of our booth at this year’s show! 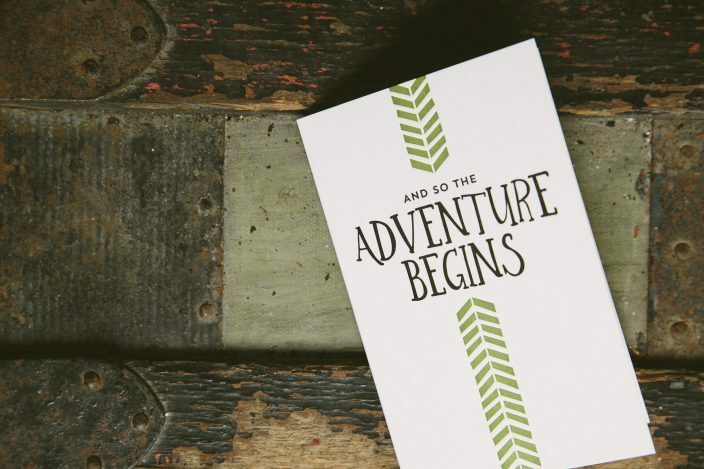 Each year at NSS we introduce a variety of new products for both our everyday and custom lines, and highlights for this year include a new wedding album, lots of new cards, gift wrap, keepsake boxes, and 2017 calendars. All of these products will be available online soon, but for now here’s a peek at our displays. 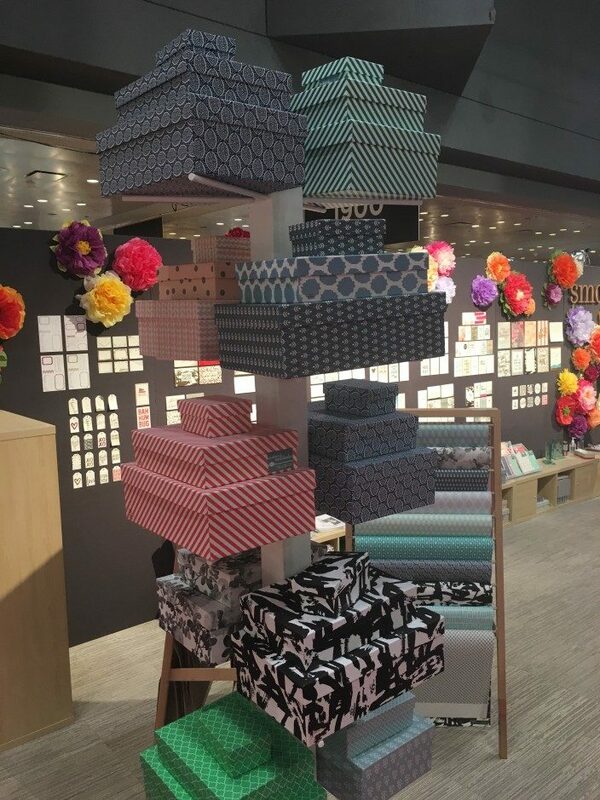 We decorated the booth with colorful tissue paper flowers to correspond with the new Flora collection envelope liners on display in the Bella Figura side of our booth. Take a look! 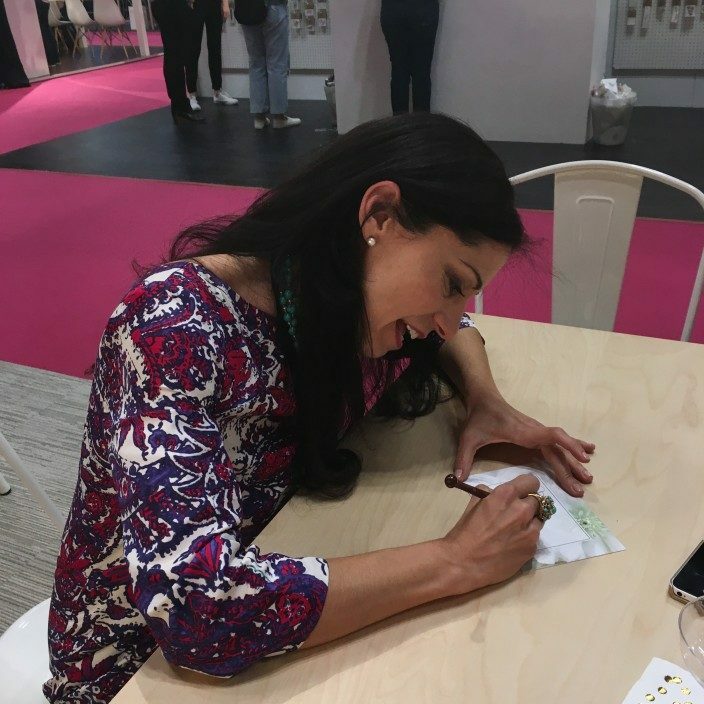 We loved having calligrapher Sarah Hanna in our booth during the show offering on the spot calligraphy – it’s mesmerizing to watch her work! 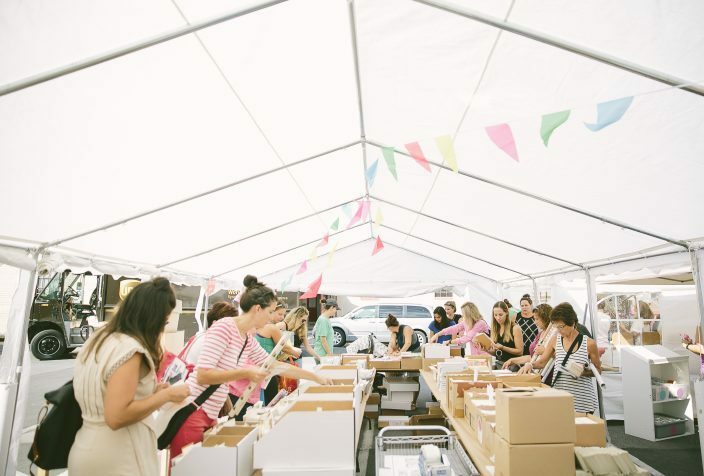 And no Stationery Show would be complete without a trip to the Paper Party hosted by Oh So Beautiful Paper. 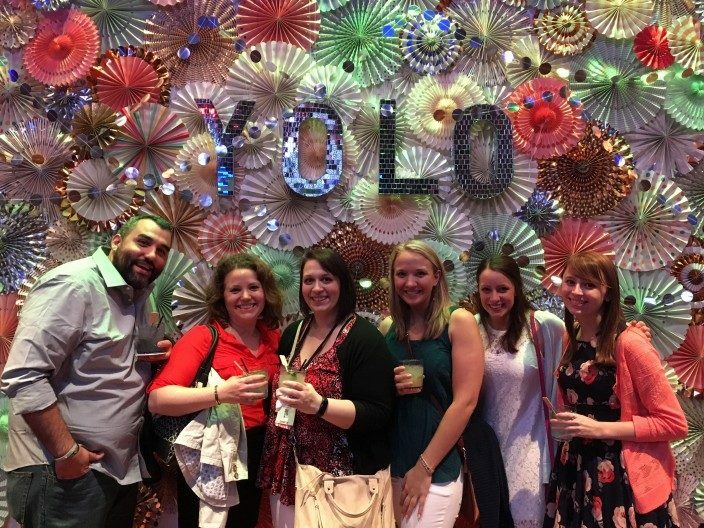 We loved being sponsors again this year – here’s our team enjoying the event in front of the amazing display that My Mind’s Eye put together. So festive and fun! 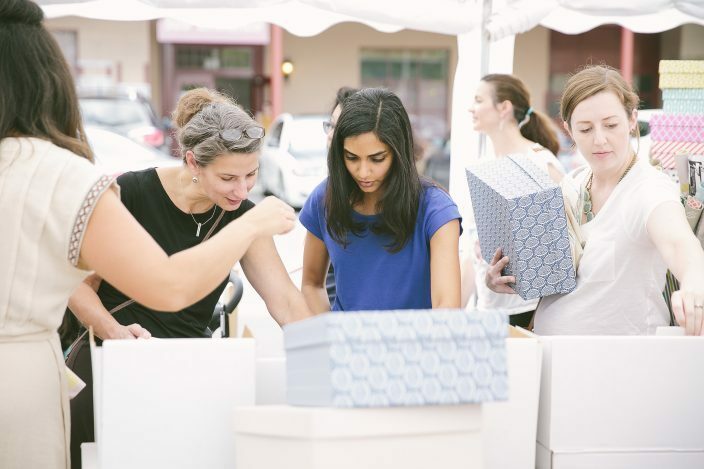 Sarah Hanna + Paper Twist to offer custom map workshop! 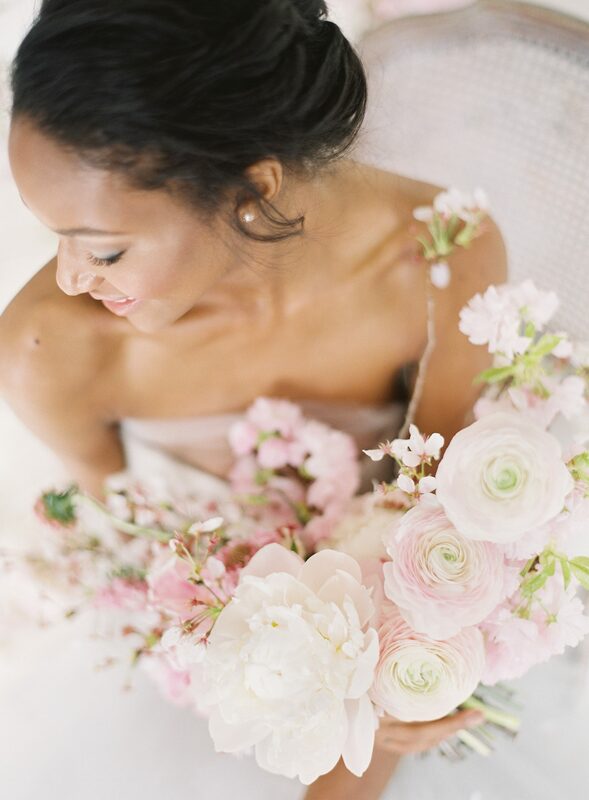 Live near Charlotte, North Carolina? Our friends at Paper Twist are partnering up with Smock calligrapher Sarah Hanna to offer a custom map workshop on October 15th! Attendees will enjoy 4 hours of instruction, along with lunch & beverages, goodies from our Everyday line, and an art supply ‘petting zoo’ at the end of the class, where you’ll get the chance to check out Sarah’s supply recommendations. Interested? Email Sarah to sign up today — hurry, space is limited!